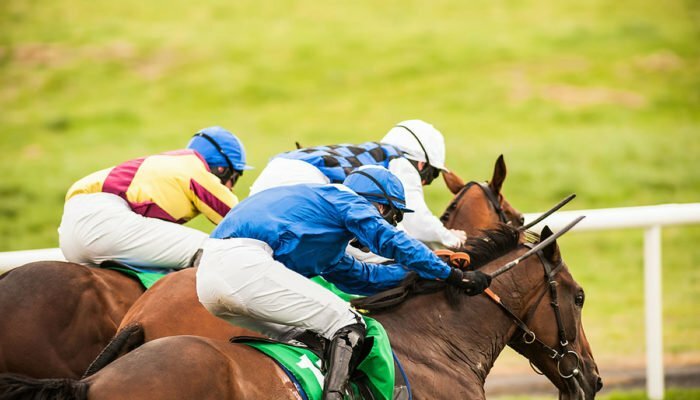 Crypto markets are still stagnant on Saturday; Zero movement on the majors, Binance Coin still rolling, Litecoin waking up. As we begin the weekend crypto markets are looking a little more buoyant but movement is still thin on the ground. A couple of the altcoins are making good progress which has kept total market capitalization above $130 billion for the time being. Bitcoin, which has been pretty inactive all week, yet again touched resistance at $3,900 before pulling back. The movement is instant and back to its support level at $3,860 where it has traded for the past few days. Only when BTC can break above $3,900 will there be a bigger market wide movement. Ethereum has been a flat line below $140 all week. ETH has started to weaken however and could quickly fall back to support in the low $130s before going anywhere else. XRP has remained steady over the past 24 hours and the gap between the two is now back to just over $1 billion. 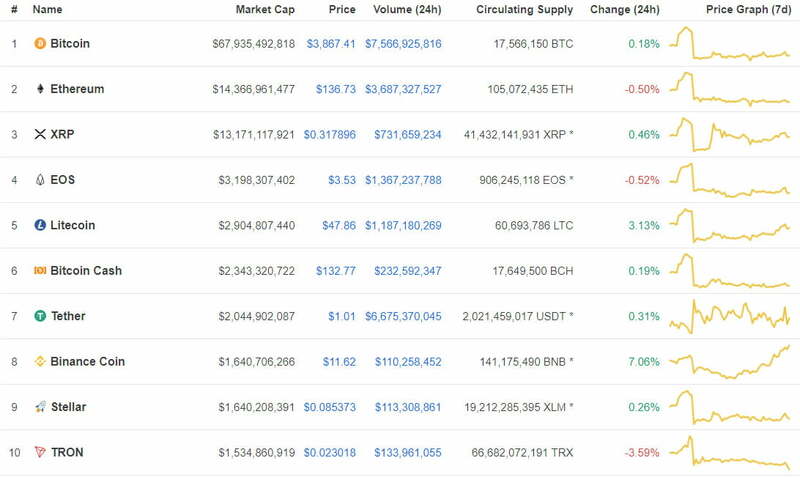 The major movement in the top ten is Binance Coin yet again. During the day’s Asian trading session BNB has surged almost 10% from $10.8 to $11.8. This has enabled it to briefly flip both Tron and Stellar and land in eighth spot temporarily. At the time of writing BNB and XLM market caps are very close at $1.63 billion. Tron has dumped another 4% on the day as it slips down to tenth spot. Over the past month TRX was the only altcoin in the top twenty to register a loss. Litecoin is also making gains today as a further 3% takes LTC to $48. The rest in this section are pretty immobile. IOTA is the only altcoin making a minor move in the top twenty at the moment. The 2% gain has taken its price to $0.294. Everything else is virtually the same price as it was this time yesterday. Today’s fomo pump is going on at Ravencoin right now as a 26% surge makes it the top one hundred’s top performer. Binance is currently getting 40% of the trade as the Bitcoin forked RVN token spikes. There doesn’t be much driving it fundamentally so a dump is likely to follow. Also performing well at the moment is Power Ledger. Tokens for the blockchain based energy sharing platform have jumped 14% to over $0.10 as volume surges to $5 million. The company has made big inroads in Australia and Japan and POWR is a fundamentally strong token so further long term gains are likely. The messy end of the top one hundred table is very predictable today. The big pump of the past few days, ABBC Coin, is finally dumping down with 12% loss making it the only altcoin to drop double digits right now. Steem is also losing recent gains and falling back 8% on the day. Total crypto market capitalization is exactly where it was this time yesterday, and the day before, $130 billion. A mini $2 billion pump as Bitcoin hit $3,900 again was rapidly quashed indicating that the bulls are still sleeping. Since the same time last weekend crypto markets have shrunk by 3%.